Disney Jake and the Never Land Pirates Who Shook Hook? Game Just $15.90! Down From $40.14! You are here: Home / Great Deals / Disney Jake and the Never Land Pirates Who Shook Hook? Game Just $15.90! Down From $40.14! Sears has this Disney Jake and the Never Land Pirates Who Shook Hook? Game on sale for $15.90 (Reg. $40.14)! Take back the treasure in this adventurous game of skill and suspense! Captain Hook is snoozing in his hammock, surrounded by all the treasure he’s nabbed from Jake and his pirate crew. Spin the spinner to choose your challenge, then use the sword, the fishing pole, or the shovel to pluck a piece of treasure! But steady as she goes – you need to grab the loot without sending Hook tumbling into the water where Tick Tock Croc awaits. 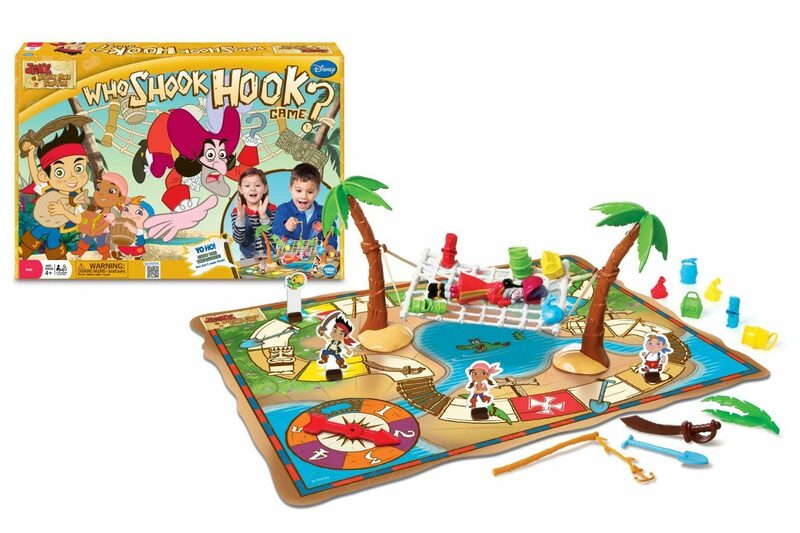 This imaginative, play-packed game is sure to be a hit with clever little pirates.